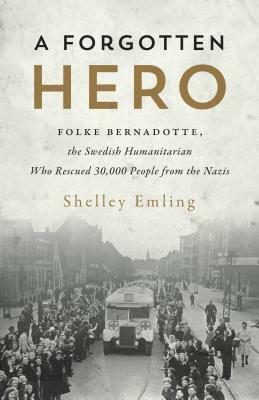 Forgotten Hero tells the story of Folke Bernadotte, Swedish head of The Red Cross, who had orchestrated the rescue of 30,000 Jewish women near the end of the Second World War. I received an advanced copy from the publisher in exchange for an honest review. I wouldn’t consider myself a World War II history buff or anything but I’ve read my fair share of books as well as watched several films and documentaries so I’d like to think I have a good understanding of the major events. However, reading about the horrific atrocities that took place during the Holocaust is something I will never become numb to. How could anyone? It is endlessly sickening. The prologue begins at the end of the story and describes in great detail the “living” conditions for those who had been rescued by Folke’s Red Cross at the Ravensbrück Camp. From there, we’re given a brief outline of Folke’s family history before going into his upbringing and early life. I found this rather dull. I mean no disrespect to the man himself, but I’m not sure as much detail was required to fully build and explain his character. That being said, there is some interesting information throughout the book that doesn’t necessarily tie to Bernadotte including the origins of Alfred Nobel, a Swedish National and the inventor of dynamite, an invention that had inadvertently led to a revolution in modern warfare. You also get a brief but pretty comprehensive story about what had led to the implementation of the Manhattan Project which would lead to the creation of the nuclear bomb. Folke’s story about how he managed to work with the German forces was an impressive one. He had worked tirelessly to promote and negotiate a potential armistice between the Third Reich and the Allies – even at one point, without the knowledge of Hitler himself. Forgotten Hero is the story of a moral man who lived in an immoral age. Shelly Emling’s research is impeccable in its depth delivering a story that many should take it upon themselves to read. In today’s age, we need the lessons of the past more than ever – especially those who chose to try to bring us together rather than to stoke the fires of division.